For many of us traveling and reading are inseparable. Doesn’t matter if you’re a fan of paper books or more an e-book lady, reading can be a way to travel to places when you aren’t on the road or to take some time for yourself while having your own adventures somewhere in the world. It is no surprise then that we had an outpouring of requests to start a book club for members of Girls Who Travel. We named it ‘Sisterhood of the Traveling Books’ and after less than two months we already have hundreds of members from around the world. Together, we choose travel related books and, with members spanning the globe, that means the stories are being read in the original language and various translations. At the end of every month, on the last Sunday, we come together on Facebook to talk about that month’s book. Did we love it or will it end up in the campfire the next time we go camping? Our first book club! All members shared some of their their favorite travel books and at the end we held a poll to choose our first book. 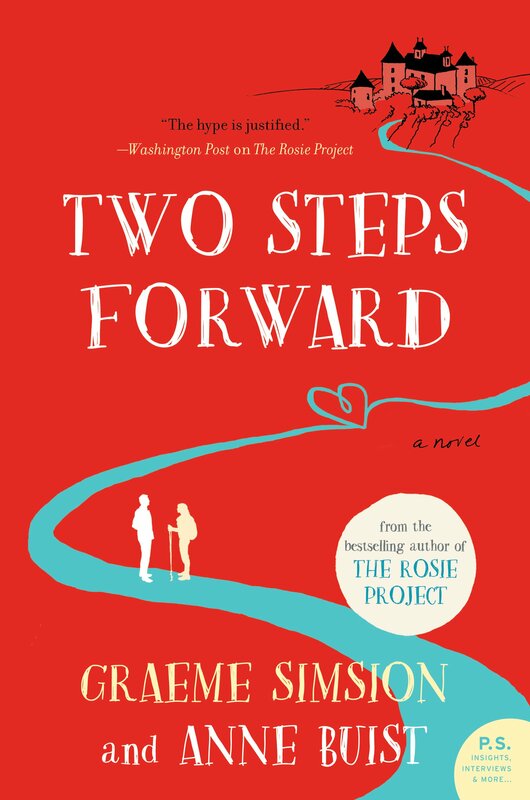 ‘Two Steps Forward’ by Graeme Simsion and Anne Buist was that months winner. On the last Sunday of the month we came together (throughout the day – we’re all in different time zones!) to talk about Zoe and Martin and the Camino. Opinions were divided and that’s okay. The book helped us learn about each other, share our thoughts and let us think about our own dreams. And it definitely didn’t take long before a conversation about walking the Camino started quickly! 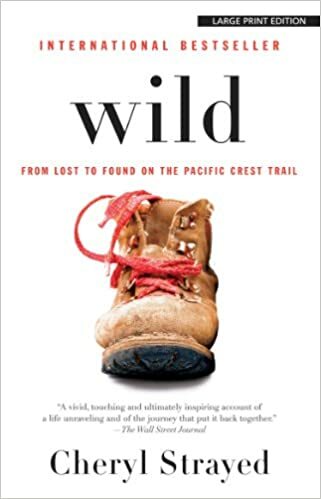 At the moment we are finishing up with ‘WILD’ by Cheryl Strayed, a book well known to many members. Some of us have read it before and others have seen the movie but we’re all excited to discuss it in book club! Have you read the book and want to be a part of this Sunday’s bookclub? Join Sisterhood of the Traveling Books now and share you thoughts with us. At twenty-two, Cheryl Strayed thought she had lost everything. In the wake of her mother’s death, her family scattered and her own marriage was soon destroyed. Four years later, with nothing more to lose, she made the most impulsive decision of her life. With no experience or training, driven only by blind will, she would hike more than a thousand miles of the Pacific Crest Trail from the Mojave Desert through California and Oregon to Washington State – and she would do it alone. Next month we are going to do something else, something a little bit different. Our book club will be featuring ‘Leaving Egypt’ written by one of our own members, Paula Sadok! On top of that, she will be joining us for a Q&A during the book club. So order your book, read it and get your questions ready for the book club at the end of August. This multi-generational novel tells the story of Sarah, her daughter Marcelle and her grand-daughter Lauren, a Middle-Eastern Jewish family moving from Aleppo to Cairo to New York, amongst the upheaval in the aftermath of Egypt’s revolution in 1952. Through each move and resettlement they struggle with the legacy of their family and their culture, while also trying to find their own identities as women. As the women attempt to set down roots in unfamiliar places, they find their lives irrevocably shaped by politics and other events beyond their control. 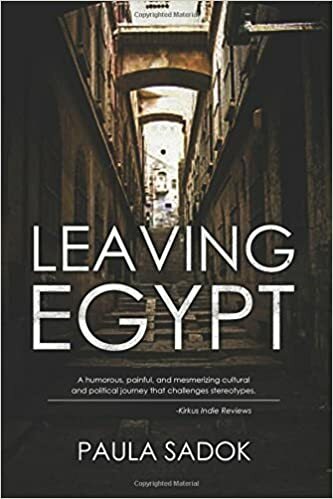 Leaving Egypt describes the complex negotiations that immigrants face wherever they go, while also exploring the powerful intricacies of the bonds between mothers and daughters. Are you a travel girl who loves to read? Join monthly book club! Sign up at Sisterhood of the Traveling Books and share your favorite travel reads with us.